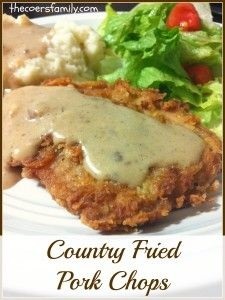 Delicious pork chops with a flavorful, crispy breading - pan fried to perfection. In a large skillet with a lid, heat oil over medium high heat. In a bowl, mix eggs and Worcestershire sauce. In a large bowl mix flour, salt, onion powder, garlic powder, and pepper.